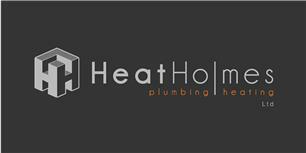 Heat Holmes Ltd - Central Heating Engineer, Plumber based in Gedling, Nottinghamshire. We pride ourselves in offering a prompt, efficient service and are always conscious of our customers’ needs. We are also pleased to offer free estimates, 24 hour call out and our services for any domestic or insurance work. Nottingham, The Park, Mansfield, Loughborough, Brigg, Nottinghamshire.